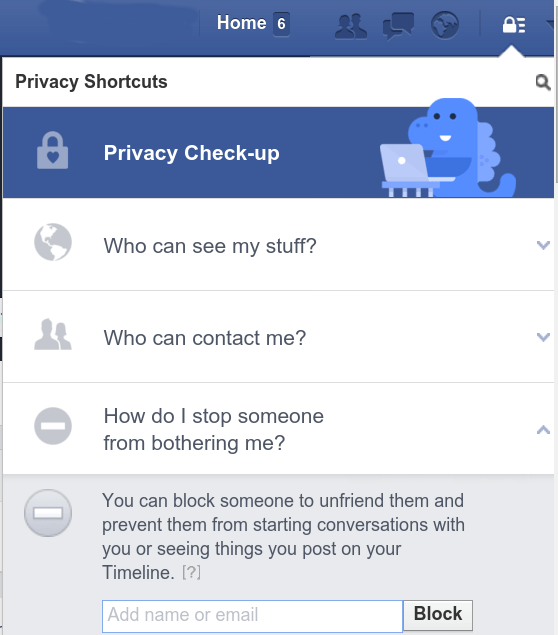 Again, many Facebook users love to poke their friends or friends of friends for specific reasons (e.g. saying hello and getting their attention. A notification will be sent to the person you just poked. The question is, why poke when you can write on that person’s wall or send him or her a private message? It may be a joke for some, but this is one feature that must be removed immediately. A poke is something that not all of us appreciates. It’s unethical, unacceptable and feels off-putting every time someone pokes you. 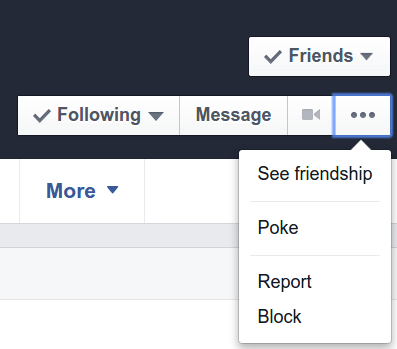 If a friend or a friend of a friend constantly pokes you for unclear reasons, you may choose to block him or her. Here’s how to block someone. Go to his or her profile. Click the arrow-like button. A drop-down menu will be displayed. Alternatively, you may click the padlock-like icon at the upper right corner of your profile. Then, click How do I stop someone from bothering me? Enter the Facebook name or the email address of the person to avoid blocking the wrong person. Nonetheless, you may select that person’s name from the list of names that will be shown. Click Block.